Great Fountain circle location and price on this fully furnished, air conditioned, 2015 bunk model trailer that sleeps eight. 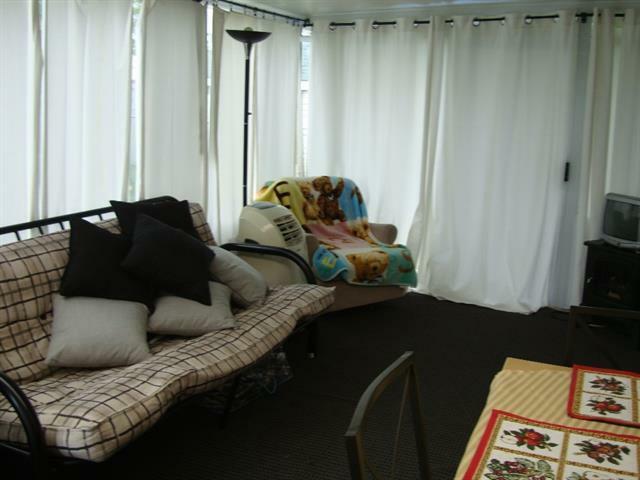 Attached and insulated sunroom opening onto a nice deck and railing. Large fenced yard, just steps from the Clubhouse and pool. Only a short walk to the main beach.